Check out this week's stamp of the week, how cute is he? 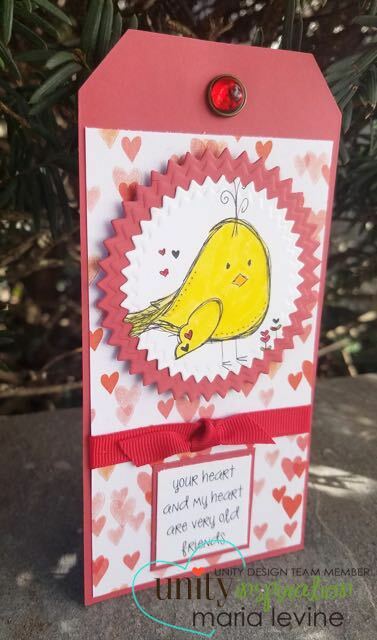 This cute chick is created by artist Joslyn Nielson. With a super cute sentiment that reads "your heart and my heart are very old friends". 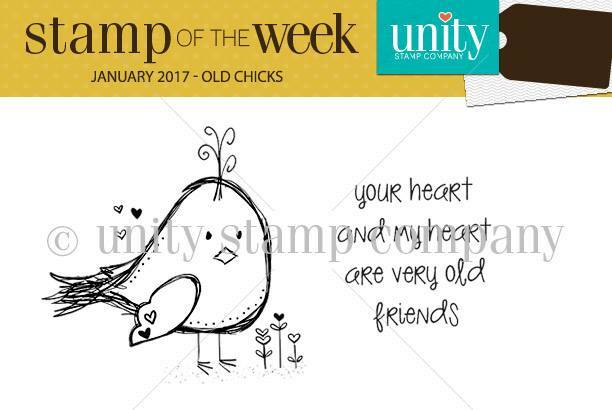 Be sure to swing on by Unity Stamp Co and check out the amazing stamp subscriptions available. You can get a cute stamp kit like this each week in your mailbox.